Ah yes, the comment tag. A bit of HTML every blogger ought to know. ^^ This is a comment tag. For the more familiar with code: A comment tag allows whoever is coding to write a “comment” in the actual source code that won’t display on any browser. A comment can come in quite handy for reminders and notes about what you’re writing or coding. It can even act as a way to leave cute little hidden messages for people who check out the code behind your blog. For the less familiar with code: The comment tag can be used as a way to bypass required fields. 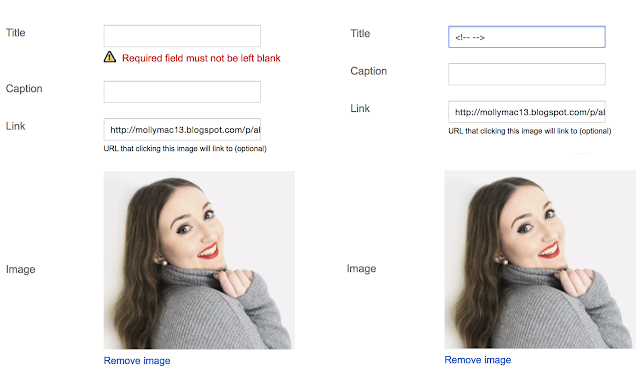 Got a pesky picture requiring a title when you don’t want/need one? Want to have a picture or graphic stand in for a title of a post (like I did for this one)? Pop this tag into said field and you got yourself nothingness. Say goodbye to useless filler words. Hooray! 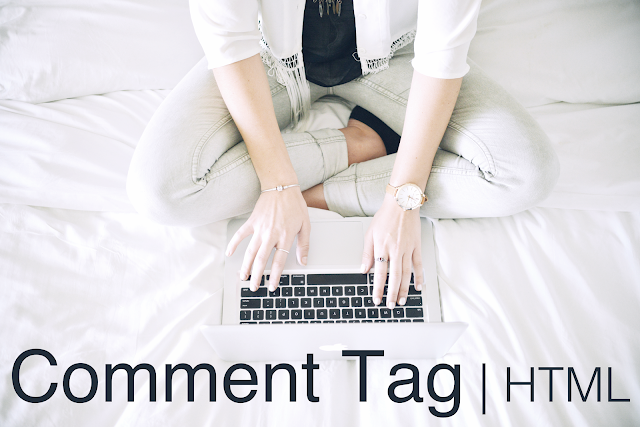 And that's all you need to know about the comment tag! Stayed turned for more HTML and tech related posts. Have any specific questions regarding these topics? Let me know! I’d be happy to cover them. Stop by The Blogger Guide tab for more useful information! Would you like to see more posts like this in the future? ah this is cool! did not know! Thank you for that great post! THIS IS SO HELPFUL! Never knew that this was a thing until now! Thank you so, so much, you have no idea how much this has helped me! This is so useful! I will save this for when it is needed! Interesting! I am trying to learn code and haven't come across this yet, thanks a lot!